Researchers have identified inflammatory biomarkers which can indicate whether the brain has suffered injury within the first hour of the accident. The team, led by Professor Antonio Belli from University of Birmingham in the UK hopes to use these biomarkers to develop a test which can be used on the side of a sports pitch or by paramedics to detect brain injury at the scene of an incident. In addition, it has potential implications for drug development, as novel compounds could be given immediately after injury and potentially commenced at the roadside, if there was sufficient confidence in the diagnosis of Traumatic brain injury (TBI), researchers said. “TBI is the leading cause of death and disability among young adults and, according to the World Health Organisation, by 2020 TBI will become the world’s leading cause of neurological disability across all age groups,” said Lisa Hill, from the University of Birmingham. “Early and correct diagnosis of traumatic brain injury is one of the most challenging aspects facing clinicians,” said Hill. “Being able to detect compounds in the blood which help to determine how severe a brain injury is would be of great benefit to patients and aid in their treatment,” she said. 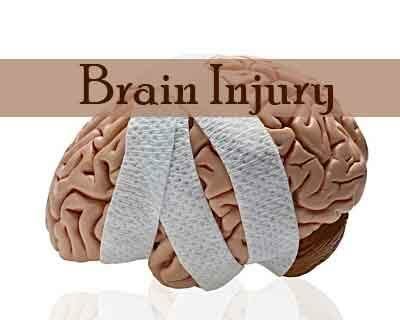 The results identified three inflammatory biomarkers, known as CST5, AXIN1 and TRAIL, as novel early biomarkers of TBI. Currently, no reliable biomarkers exist to help diagnose the severity of TBI to identify patients who are at risk of developing secondary injuries that impair function, damage other brain structures and promote further cell death. The discovery of reliable biomarkers for the management of TBI would improve clinical interventions, researchers said. Inflammatory markers are particularly suited for biomarker discovery as TBI leads to very early alterations in inflammatory proteins. In the study published in the journal Scientific Reports, blood samples were taken from 30 injured patients within the first hour of injury prior to the patient arriving at hospital. Subsequent blood samples were taken at intervals of four hours, 12 hours and 72 hours after injury. These blood samples were then screened for inflammatory biomarkers which correlated with the severity of the injury using protein detection methods.